MUMBAI, April 2019: T-Series recently launched a brand new singing sensation ‘Yusuf Shaikh’ with his single ‘Sajni Ve’. 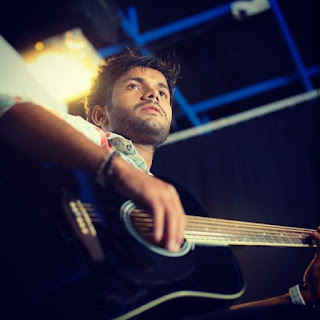 Yusuf Shaikh, a 23 year old talented singer managed to do what many individuals would fail to achieve in a lifetime. Yusuf is best known for his ability to sign across various genres whilst appealing to audiences across various age brackets. He trained under the highly reputed Ustad Sahab Khan who recognised the boy’s potential and took him under his wings. He taught Yusuf to sing from the heart and not from the mind. He made him channelize all his negative emotions into beautifully composed melodies. One song led to another and today Yusuf has managed to create an entire treasure trove of amazing compositions. In the year 2013, Shaikh took a decision to take up singing as a full time profession. Having hailed from a humble background, he recorded his first single at a tiny little café on Carter Road in Mumbai owing to budget constraints- however this was his first ever step into a future full of amazing experiences. He was immediately noticed and was given a lot of opportunities at various gigs across the city. This exposure eventually led him to his ultimate goal. T-Series discovered him recently; they recognised his potential and launched him with his extremely catchy single, ‘Sajni Ve’. This single in a matter of a few days managed to open up doorways into play back signing. The track started trending on Youtube the very same day it was launched with 3.8K likes and 194,060 views.